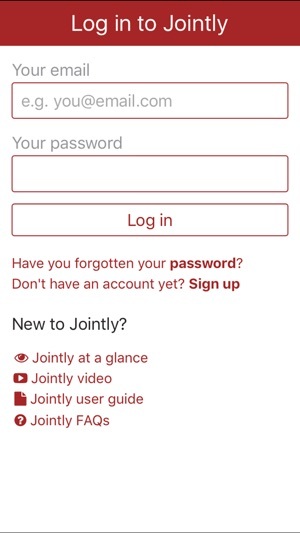 Care together from anywhere with Jointly! Jointly works with circles of care. To initially set up a circle for the person you are looking after you will need to make a one-off payment of £2.99. Once a Jointly circle has been purchased there is no additional cost for you or the people you invite to join you. You can invite as many people as you want to share the care with you. 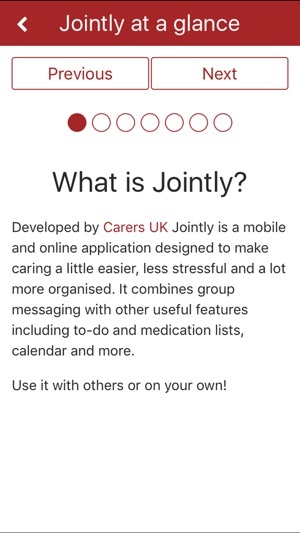 An application created by carers for carers. It is designed to make caring a little easier, less stressful and a lot more organised. It combines group messaging with other useful features including to-do and medication lists, calendar and more! With Jointly you can create a circle of care for the person you are looking after. Once you have set up your Jointly circle you can start using Jointly to organise care. You can use it on your own or you can invite other people to join you and share the care. • Profile: Store useful information about the person you are looking after and have it available to access any time at a click of a button! Make a note of their date of birth, condition and caring needs, likes and dislikes or anything else you may think is relevant. 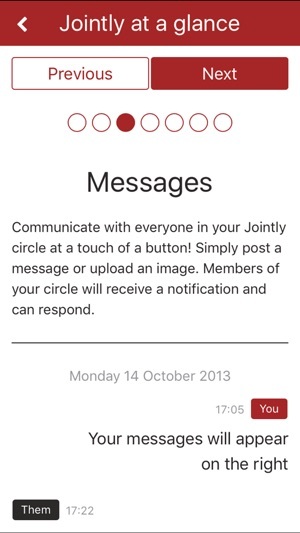 • Group messaging: Communicate with everyone in your Jointly circle at a touch of a button! 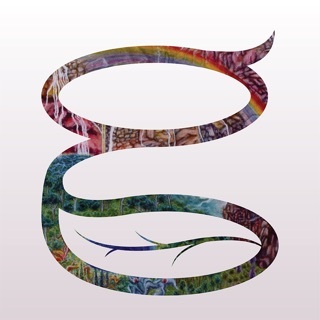 Simply post a message or upload an image. Members of your circle will receive a notification and can respond. • Tasks: Keep organised and on top of things by using tasks and task lists. Simply create a task and assign it to any member of your Jointly circle, including yourself, and monitor its status. • Calendar: Create date/time specific events and invite anyone in your circle. You can also use the field provided to invite people outside your Jointly circle. You can keep tabs of all planned events in Jointly's calendar while at the same time sending and accepting invitations in your personal calendar. • Medication: Use Jointly's Medications feature to keep track of current and past medication of the person you are caring for. You can also upload an image to quickly recognise a medicine. • Contacts: Jointly stores the contact details of the members of your circle and also allows you to store more useful contacts so that you can access their details anytime, anywhere!